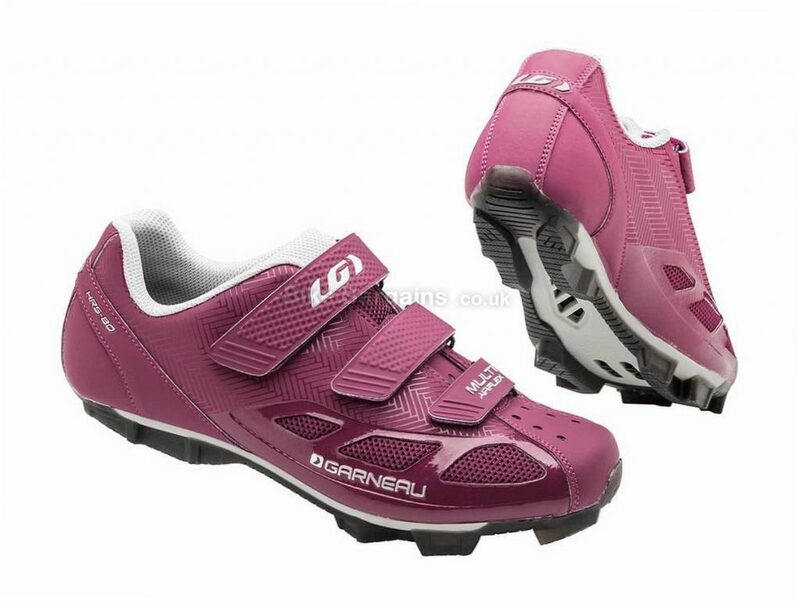 The versatile Louis Garneau Ladies Multi Air Flex Urban Sport Road Shoes are perfect for all your riding needs, training, commuting or your weekend rides. The ventilated composite Multi Air Flex outsole offers good toe flexion for walking while preventing heel pressure and, combined with the ventilated EVA insole, it ensures through-and-through ventilation that helps prevent overheating. Inside the cup, the HRS-80 retention keeps the heel firmly in place and the velcro straps are easy to adjust and provide good support. Fit Standard Fit: Roomier fit offers more comfort for all-day riding. Reflectivity Reflective heel. Upper Synthetic leather and mesh provides comfort and breathability. Outsole Multi Air Flex nylon.fiberglass for easy walking; prevents heel pressure. 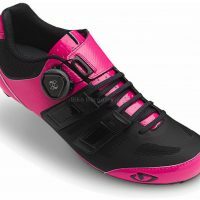 Heel Heel Retention: HRS-80 stabilizes heel Closure 3 Velcro straps for easy adjustment while riding. 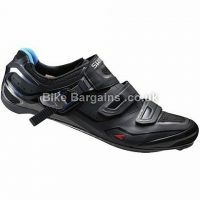 Cleat Compatibility SPD cleats fit all major MTB pedals. Weight 280g / 9.8oz (size 38). 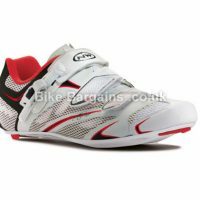 This £14.00 Ladies Multi Air-Flex Shoes deal has expired. However, you can..